The Norfolk Broads at this time of year become so serene, and with the frosty mornings we have been getting it makes for some perfect photograph opportunities. With a thin layer of undisturbed ice formed on the surface of the basin, the birds chirping and otter footprints in the frost, we go for a walk around the site to see what work is going on behind the scenes getting Norfolk Broads Direct ready for the 2019 season. 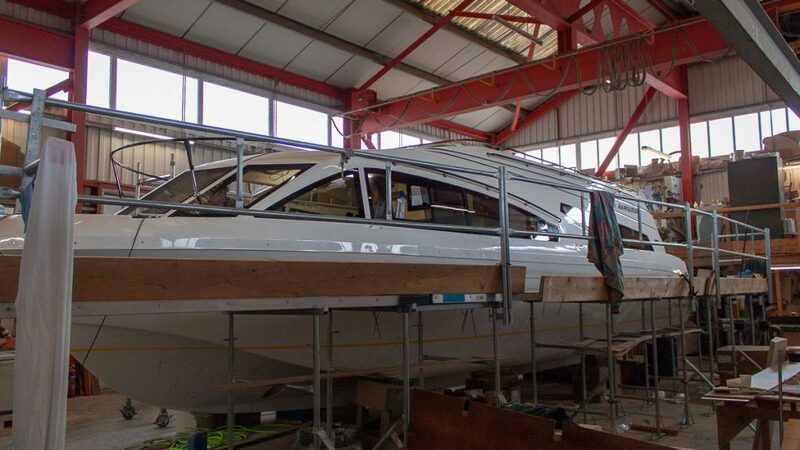 Afloat by the boat building shed is Fair Marquess 1 patiently waiting for her upholstery to arrive and be fitted in time for the first hire in early April. 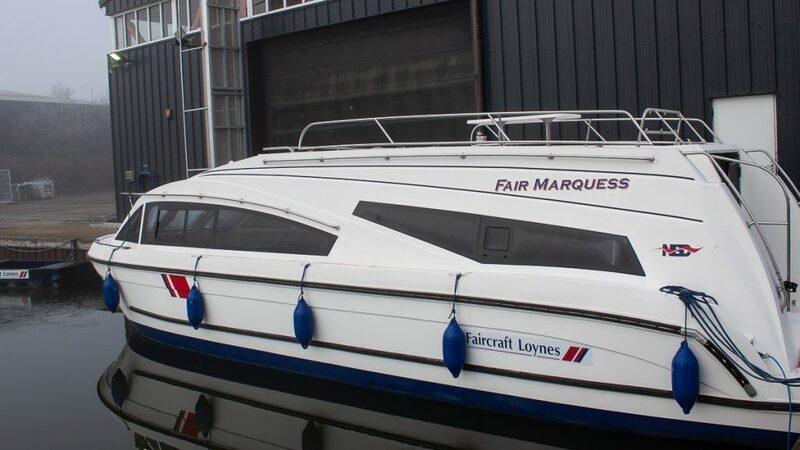 As space and luxury for a couple go, Marquess is an impeccable boat, and sure to prove popular. As we go inside the shed, we find Fair Marquess 2 well on her way to being ready for April to sit alongside number 1 for their first season of holidaying. The windows have been fitted, railings have gone on, and some vinyl stickers have already applied to the outsides. On the inside the engine is in place along with all the kitchen appliances and cupboards. 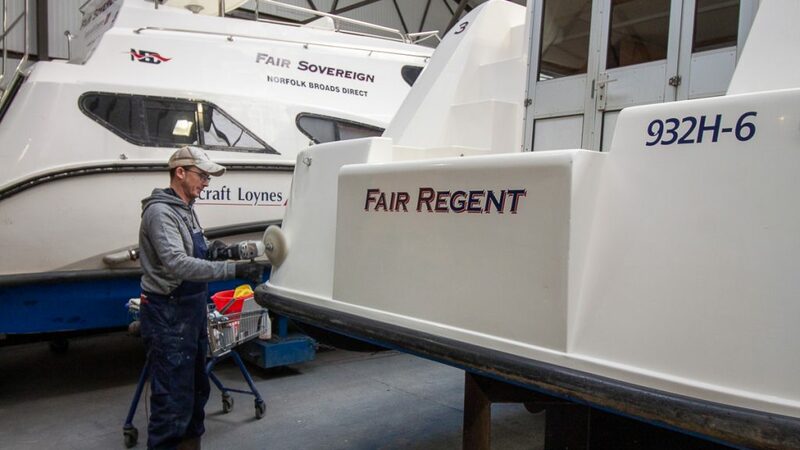 It’s currently a hive of activity with our engineers and boatbuilders working alongside each other installing the cabling and plumbing as well as completing the bespoke woodwork to finish off this luxury craft. Moving around the site we get to what was formally the Windboats yard. The part of which recently acquired by us, is going under a huge transformation to allow us more work space and make our service more streamlined. 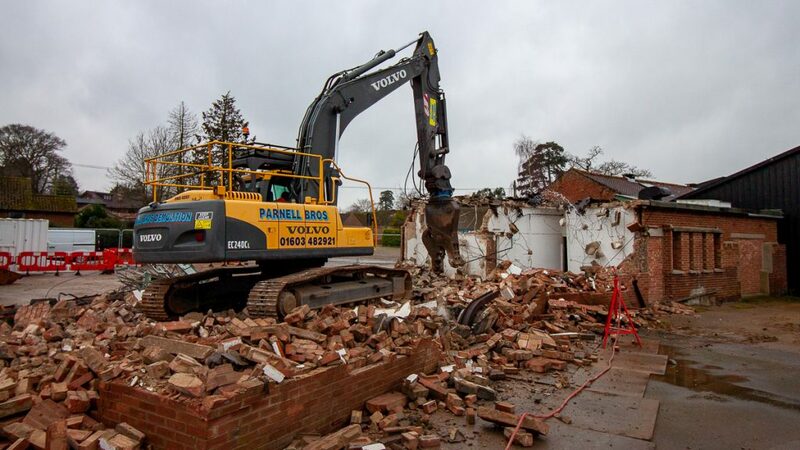 The demolition crew have got rid of three buildings and are in the process of levelling the ground. Once completed this will allow more customer car parking whilst they’re holidaying on our boats and will grant more manoeuvring space for those boarding and disembarking from their boats on turn around days. 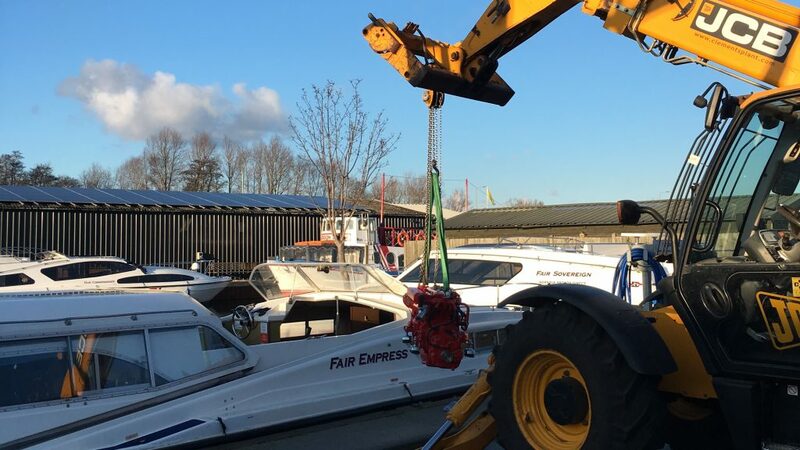 The workshop with the green door is now being used for our Broads Tours day boats winter maintenance, freeing up the space in our fleet shed for another cruiser. 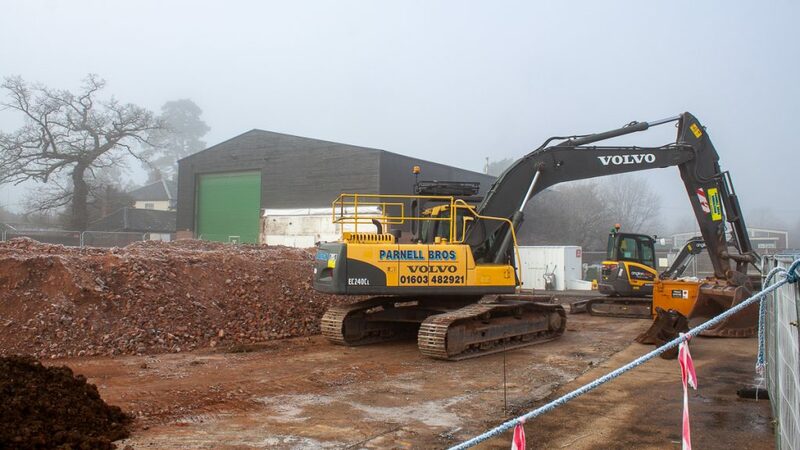 Following on from the construction work we then get to our fleet maintenance shed. A new batch of 5 cruisers went into the shed just a few days ago, and already they’re looking great for the upcoming season. After being derigged of their ropes and fenders, they get a deep clean before the polishing can begin. Compounding the gelcoat with machine polishers is used to bring up the shine, and then an application of a wax is worked in to help protect it from the elements. On top of this any other necessary repair work takes place. 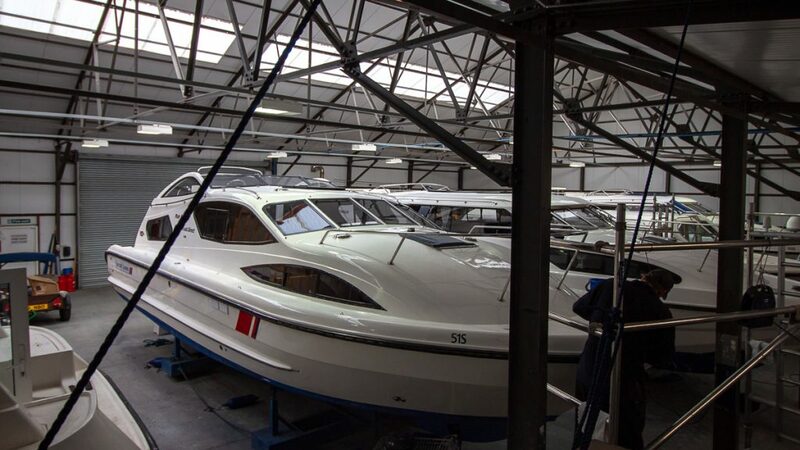 Well over half of our 60 strong fleet of luxury cruisers have already been through the shed and are sitting pretty waiting for the warmer weather. 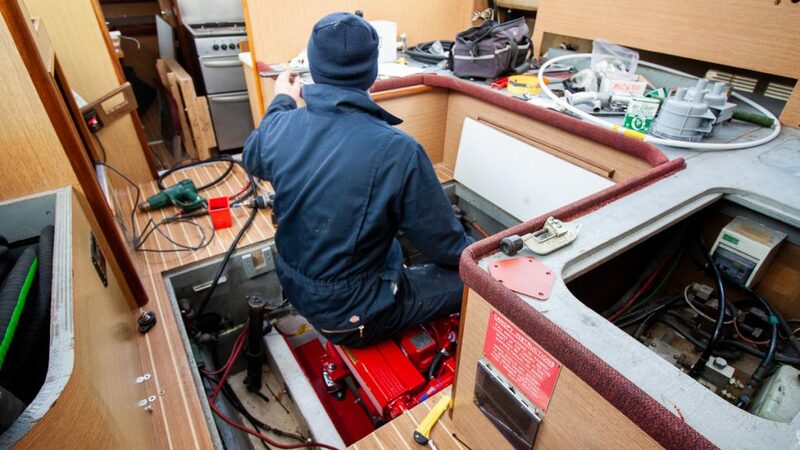 Back outside and onto Fair Empress we find one of our engineers plumbing in the brand-new Beta Marine engine, one of three cruisers that are receiving a new engine this winter. 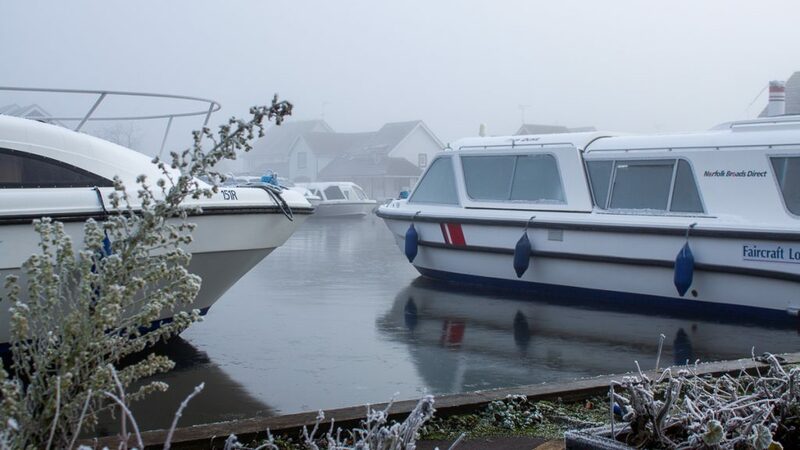 So, there we go, from what at first seems a tranquil frosty morning on the Norfolk Broads, our boatyard is awash with activity getting Norfolk Broads Direct set up for a fantastic 2019.